Boxing Champion, Floyd Mayweather Jr. is now 50-0 as a professional, after scoring a 10th-round TKO victory when McGregor was unable to answer several huge shots to the head. Though the first round was slow for Mayweather, as expected. McGregor landed a very, very nice counter left uppercut in that opening round that did some damage to Mayweather. McGregor showed some surprisingly strong counters in the second and third rounds as well, and was also warned for hammer fists to the back of the head by the referee. In the fourth, Mayweather started to bring things back. He started landing big time with right straights and McGregor started to slow down. Mayweather took over with some huge shots and combos in the sixth and seventh rounds, landing far more powerful strikes. McGregor showed more life in the eighth round, landing some serious shots. It could have been his round, even, though Mayweather did land with the right straight plenty, and did some damage. 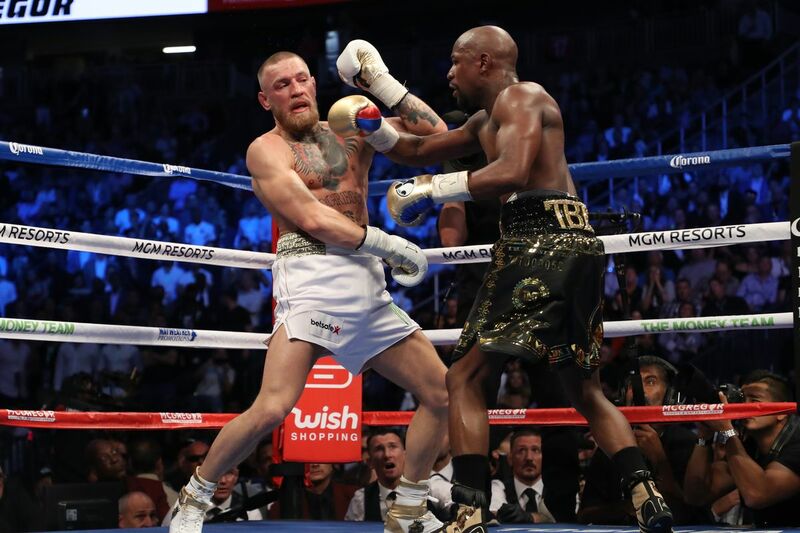 In the ninth round, McGregor hurt Mayweather with an early body shot, but after recovering, Mayweather put together his most dominant round of the fight, peppering the tiring McGregor over and over with big shots. In the 10th, Mayweather swarmed McGregor and the fight was stopped. Mayweather landed several unanswered shots and McGregor was stumbling around the ring, so it was a good stoppage.